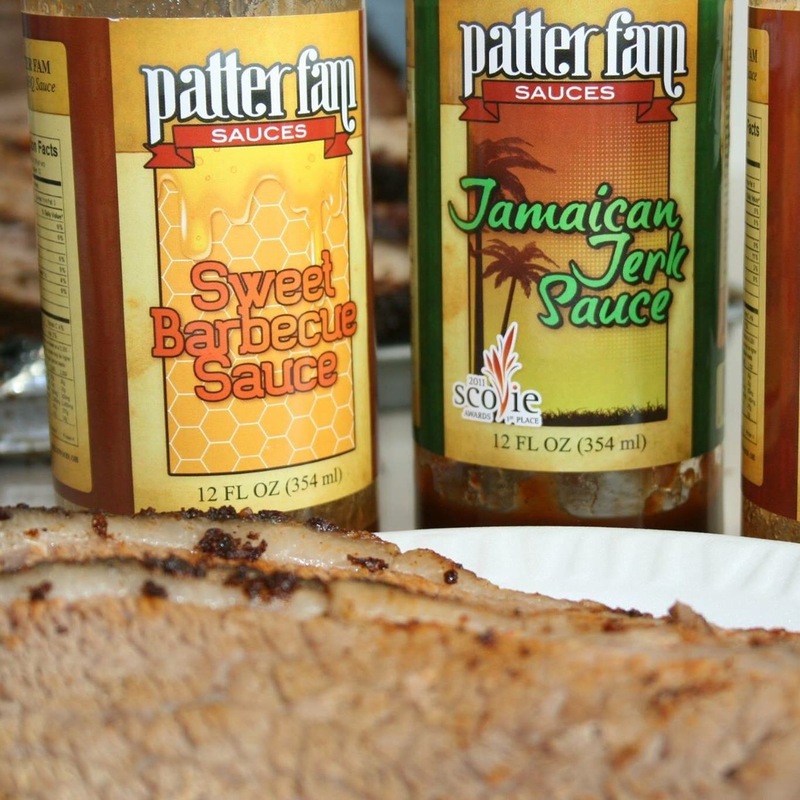 Wheelersburg, OH – Patter Fam Foods, a full-service sauce co-packing facility is now approved for acidic foods manufacturing. A subsidiary of Patter Fam Sauces, LLC, it is located in the Ohio-Kentucky-West Virginia tri-state region, in the heart of some of the richest agricultural regions in the Eastern U.S.
Their niche is the small producer/cottage based industry that is under-served by the co-packing industry. They can produce in quantities as small as 10 gallons or as large as you need. Producers can avoid the large production quantities required by most co-packers. 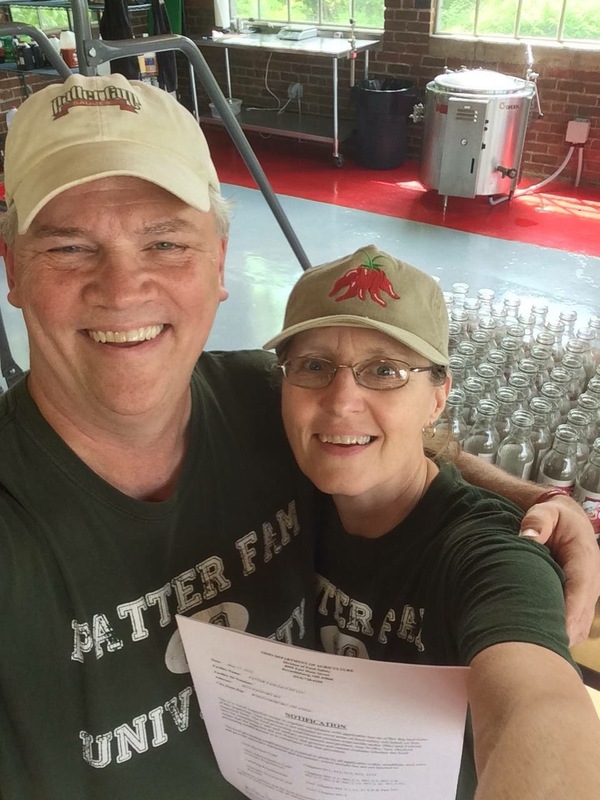 Patter Fam Foods is actively looking for food producers with a new product or limited budget, restaurants, or start-ups looking for a way to make their product “market ready”. They provide consulting, branding, product development and logistic services. They can manufacture your recipe or develop a private label line for your restaurant or food company. Patter Fam Foods is located at 8019 Hayport Road in Wheelersburg, OH at the intersection of Hayport Road and Old Gallia Pike. For more information you may visit their website, or phone 740-352-2008. 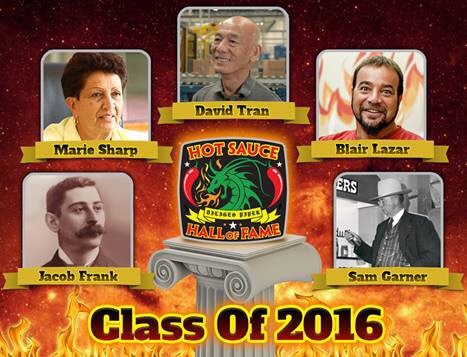 The Hot Sauce Hall of Fame Foundation is very proud to announce the Hot Sauce Hall of Fame Class of 2016. The Hot Sauce Hall of Fame will induct 5 people all of which have been very instrumental in the fiery foods. After months of balloting, with just shy of 500 voters, the NYC Hot Sauce Expo is now proud to announce and present the Class of 2016. This year’s group are the biggest and brightest names in the industry. One of Legend. One of inspiration. 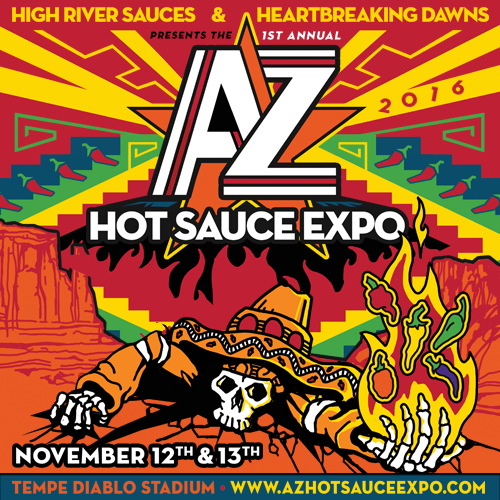 Here is your Hot Sauce Hall of Fame Class of 2016. Record certified with the hottest product created, Blair’s passion for peppers is ever present. It is what fuels the fiery phenomena that’s called the Death Sauce. 2. David Tran – Huy Fong Foods (Sriracha Sauce): Started in 1980 and has grown to be the leader in Asian Hot Sauce with his Sriracha Sauce also known to hot sauce fans as the “Rooster Sauce”. 3. Jacob Frank – Founder of Franks Red Hot and one of the biggest selling hot sauces in the country. Frank’s RedHot cayenne pepper sauce was used as the secret ingredient for the first ever Buffalo Wings in Buffalo, New York, putting it on the map and starting the flavor craze that has led to consumers obsession with all things Buffalo-flavor. 4. Marie Sharp – Marie Sharp’s & the Original Melinda’s: Owner Marie Sharp’s Fine Foods Ltd. – Started making sauce in the early 80’s and actually was the creator of Melinda’s sauces. Her sauce is the quintessential Central American hot sauce awesome flavor and great heat! 5. Sam Garner – Texas Pete: This hot sauce was introduced to the world in 1929 and is now the 3rd largest selling hot sauce in the country. The Hot Sauce Hall of Fame enshrinement ceremony will be held on Saturday April 23rd on the main stage of the NYC Hot Sauce Expo. Inductees will receive a distinctive Red Jacket and a Hall of Fame Ring. This year the 4th Annual NYC Hot Sauce Expo will take place on April 23rd and 24th at the Brooklyn Expo Center in Brooklyn, NY.